It almost slipped by me again this year, but somehow I remembered: This week marks my 4th blogiversary! I know this is a small blog within the grand ol' blogosphere, but I treasure this piece of the internet and those of you who stop by to read what I have to say. THANK YOU! I thought I would mark this grand occasion by recapping my top 10 blog posts of all time. Blogging is a weird thing: Sometimes you write a blog post that you think is going to be incredibly popular, and NO ONE CARES. But then you whip out a post about these Christmas cookies your mom used to make and the internet goes wild! It's a fickle beast, that internet. 1. Let's start with my most popular post of all time – thank you, Pinterest! Scott made me this fantastic outdoor fountain out of flower pots, and we are still using it three years later. People must search "flower pot fountain" on Pinterest all the time, which is how people find their way to my blog. Not that I'm complaining! 2. Back when I was trying to pretty up my dark dungeon of a closet in our first house, I came up with this idea to DIY a crystal chandelier with wedding supplies from Hobby Lobby. This is one of the few things I miss since we moved away. 3. I have to thank Erin at House of Earnest for my third most popular post of all time. It was her original idea that inspired the DIY dipped, colorblocked spoons I made for her friend's bridal shower gift. I liked this project so much that I've made it over and over again – one for myself, one for my mom and many more as gifts. Everyone needs kitchen utensils, especially cute ones. 4. My 4th most popular post is another DIY project that I continue to reinvent – most recently for the wall treatment in my guest bedroom makeover. These paper wall flowers are the easiest and cheapest wall decor of all time. 6. This is one of our coolest projects of all time, so I'm thrilled that it has become one of our most popular posts. 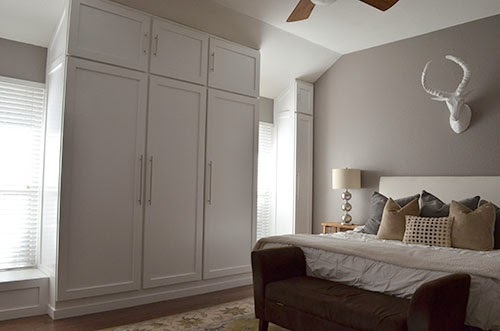 The husband worked so hard to build this full wall of custom closets from scratch. 7. This is one of those random projects we did that I'm surprised became very popular over time. (Again, thank you Pinterest.) We had a problem with our dogs digging up the garden in our old house, so we came up with this affordable way to build a custom garden fence. 8. 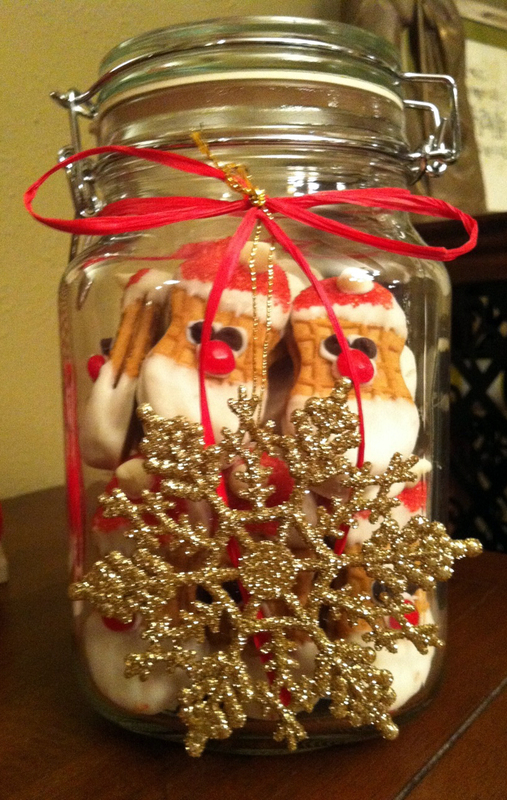 I don't have many food-related posts on this blog, but these Christmas cookie gift ideas are a big hit. Those Santas may be time intensive, but they are so cute and so tasty! 9. Our guest bathroom makeover is moving up the ranks and becoming one of the most popular posts on the blog. 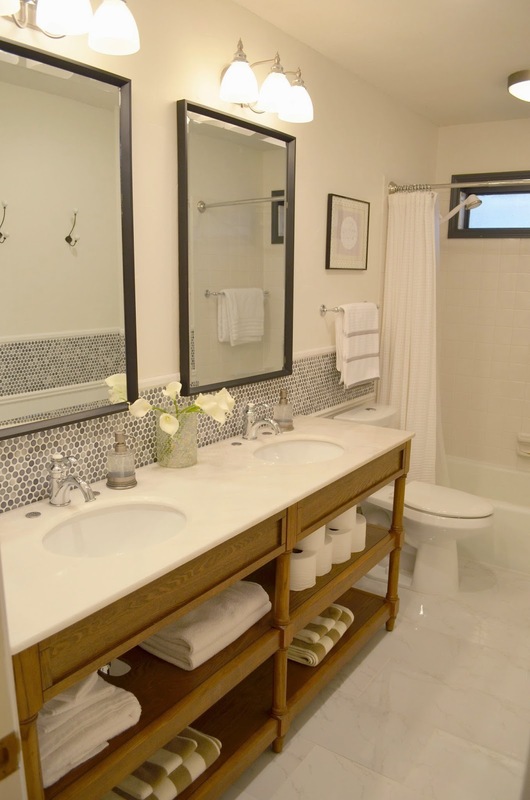 I think the finished product is one of our most dramatic makeovers, and the guests really love the new-and-improved bathroom. 10. This popular post was another project born out of necessity. Our dogs are so destructive, and they were destroying the bottom of our fence because they wanted to be able to watch what was going on and "patrol" the yard. 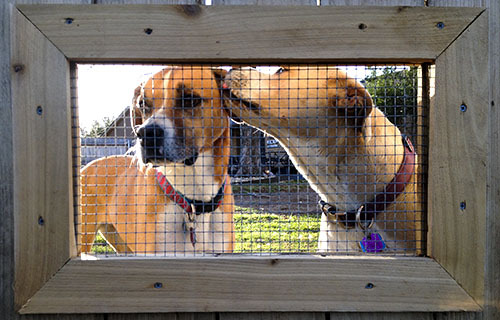 We created a custom doggy peephole in the fence. We must not be the only ones with destructive puppies because it's a very popular post these days. I know I've been a lackluster blogger lately, so I appreciate those of you who have continued to stick with me as my posting has become more sporadic. I've been working so much that it's becoming harder to keep up with the regular posting schedule. But I still love this blog and I'm going to keep going with it as long as anyone still reads it, so thank you so much for following along!